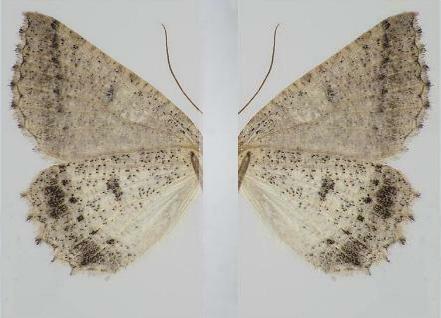 The adult moths of this species have pale brown wings, with a dark smudge or ring of dark dots near the middle of each wing. 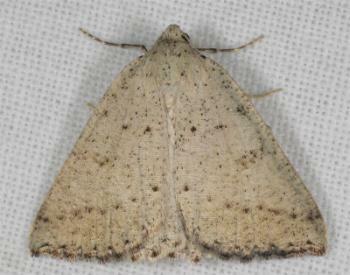 The each wing also has a fine dark zig-zag line along the margin. The forewings each have a submarginal arc of dark dots. 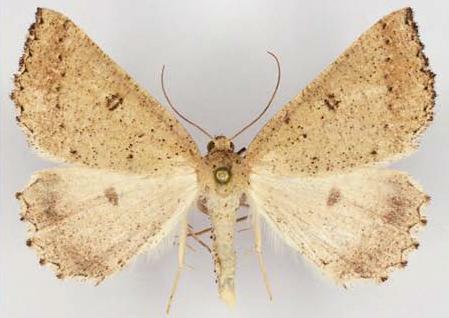 The moths have a wingspan of 3 cms. The males have feathery antennae. The females have thread-like antennae. Volume 44 (1919), p. 301-302, No. 204.